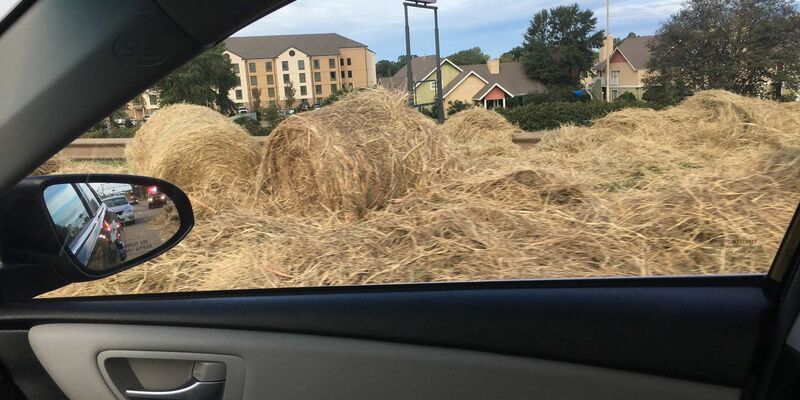 BOSSIER CITY, LA (KSLA) - Some hay may be the cause of a slow start to your day. A load of hay was lost on Interstate 20 west in Bossier City near the Old Minden Road exit is blocking traffic. The right lane is blocked on I-20 West at Old Minden Road due to debris on the roadway. Congestion has reached Airline Drive. Crews are working to clear the roadway. Traffic has backed up to Airline Drive.